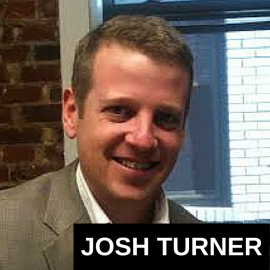 Josh Turner is invited on the Speaking of Wealth show to talk to Jason’s listeners about the power of LinkedIn and how they can utilize it. He provides some very helpful tips on how you can been seen as a peer instead of a salesmen to your target prospects, why you should create your own LinkedIn group, and a lot more on today’s episode. 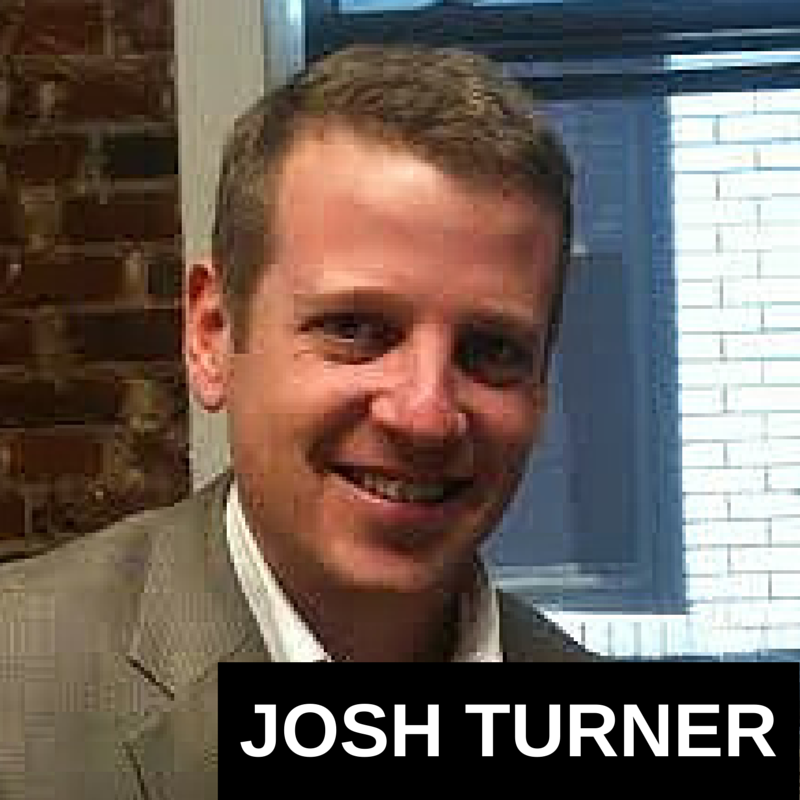 It’s my pleasure to welcome Josh Turner to the show. He is the founder of Linked Selling, a B2B marketing firm specializing in fully outsourced LinkedIn lead generation campaigns as well as webinars from also helps people design webinars, make sure those are working well and generate lots of leads from them. His company represents clients like Neil Patel and Microsoft to name a couple of them in the US, Canada, UK, Asia, Australia, and a wide variety of industries. Josh, welcome, how are you? Awesome man, thanks for having me. It’s good to have you. You’re coming to us I assume from St. Louis today? Yep in St. Louis, kind of a rainy day, but you never know what you’re going to get here. That’s right. So, as I was talking to you a little bit before, you know, LinkedIn is a treasure trove for some people. For others, yo uknow, because it’s more of a business to business type of vibe, for others it’s not as fitting, you know, who is the ideal profile client for really top notch LinkedIn marketing and how can it benefit them? Well, typically what it comes down to is all your prospects on LinkedIn. There’s 330 million plus people as of today on LinkedIn, so it’s pretty wide spread at this point and for most of our clients, they’re going to B2B, so businesses looking to sell to other businesses and they’re looking at LinkedIn and they’re saying, wow, there’s all these prospects sitting here and how can I tap into that. So, that’s really what it comes down to and across that spectrum there’s all sorts of different of types of companies that LinkedIn could be a good fit for. So, tell us about sort of the different categories in which someone can mark themselves on LinkedIn. For example, I asked you that question about Facebook, there’s their personally page, which I think frankly, in a way, one of the more effective. There are groups, there are businesses for fan pages, kind of categorize and break that down if you would. Well, the basic element that everyone needs to have is that personal profile on LinkedIn and there’s a lot you can do with that. From there, if you’re running your own business, you want to make sure you have a company page setup, which is kind of LinkedIn version of Facebook fan page or Facebook business page, it’s called a company page on LinkedIn. There’s LinkedIn groups that you can join and become a part to get your name in front of prospects and other people in your industry to engage in conversations, to share out your content, and there’s a lot of ways you can connect and contact people within those LinkedIn groups similar to being part of Facebook groups. In addition to that, there’s LinkedIn advertising and sponsored updates. There’s publishing on LinkedIn, so you can create long form articles on LinkedIn that are then posted on your LinkedIn profile and can be shared with all of your connections. If you’re lucky, it can turn a little bit viral and get wider distribution through LinkedIn on what they call pulse. So, those are a handful of things and just with those, that’s enough to keep somebody pretty busy. Sure is. Okay, so, I want to break those down and kind of dive into them individually, but first, is it necessary to be a decent marketer on LinkedIn? Is it necessary to pay for all of these things or can you use the free platform or what should upgrade your membership with and what should you pay for and what shouldn’t you? There’s a bunch you can do on LinkedIn with a free account that what we usually recommend people do is, you know, get the most out of that first and really put some strategies in place that are going to work for you even in with the free account and then when you see those working and you want to step on the gas a little bit, then the premium account becomes an easy decision and some of the reasons why you might upgrade to that is you have, you’ll be able to perform more searches in LinkedIn, which is a somewhat recent thing that free accounts are now limited on the number of advance searches that they can do. With a premium account you’re more visible in the search results, you can see more people in the search results, you can see all of the people who have viewed your profile. You get access to InMails, which allows you to contact anybody you want on LinkedIn and you get advanced search functionality that’s not available in the free account, which lets you get really glandular with the prospecting that you’re doing to find new potential clients. So, those are some of the key benefits. Is that prospecting done on a one to one networking basis or is it done on a one to many type of basis. It depends on how you’re going on about it. So, you can either be laser focused in that you’re looking for this specific type of person at this specific company and that’s really a one on one type prospecting where you’re looking for CEO of company XYZ, for example, or you can be going after a more generic profile of any CEO in the IT industry, for example, or medical devices, and then you can basically go after all those people in a more shotgun type approach. You can do the same thing whether it’s through organic searches where you’re just reaching out to people, send a connection request, utilizing different messaging approaches or you can go about it the same way with LinkedIn’s paid side, with advertising. I’m going to put you on the stop here just a little bit, Josh, and ask you this question if I can. And that is, do you have an unique philosophy to LinkedIn that’s maybe different from other gurus and thought leaders in terms of LinkedIn strategy? Yep, absolutely. So, our basic premise and philosophy is that if you take the time to develop relationships with prospects before you go for the kill, before you go for the sales call or whatever the call to action is, what you’re trying to get somebody to do that your response rate will go way up. So, that’s what we’d call systematically building relationships to convert cold prospects into warm leads and it’s really the relying philosophy of all the work that we do for our clients. So, in more, in plain terms, what that means is design a campaign that’s going to position yourself, your company, as one of the good guys, position yourself as a leader in your space, build some name renegotiation and awareness before you go for the phone call, otherwise you’re just cold calling people, but using LinkedIn instead, cold messaging them on LinkedIn. That’s a low percentage response activity, you know, you’ll get some bites, but it’s going to be few. On the other hand, if you take the time to do it the right way and develop the relationship, you get a much greater response rate. So, tell us about your typical engagement with a client when it is outsourced. They pay you, what, I guess a couple thousands dollars a month. How long does it take to sort of say you’ve done this? I mean, I know social media is never done, I totally get that, but is it sort of a certain kind of program length or campaign length that’s ideal? You know, it really depends, but typically when a clients hire us, we say pretty straight forward that they’re not willing to commit to four months, then it’s probably worth us working together. It’s pretty standard, because these things take time to develop and if you’re going to really put the time into developing relationships and working people through a systematic process to generate leads using LinkedIn, then you have to be willing to put in that time. These campaign can run for months and years. Yeah, makes sense. Can you tell us about some case studies or success stories? Yeah, sure. Let me think, one of the ones we’re most proud of is a manufacturing company that we’ve worked with for quite some time now, because they’re a real old school-type traditional company that most people that most people don’t think of as, wow, they should be using LinkedIn, but sometimes those kinds of companies are even more successful with these campaigns than others, because none of their competitors are doing this stuff and with that company, we were able to get them in on a deal with a client who has been with them now several years and it’s over ten million for revenue for them at this point and continuing to grow, because it’s repeat business on and on. Another good example is a software development firm that we work with. We were able to position in front of their target audience and through designing this kind of campaign to position them as leaders in their space, in the eyes of their prospects, they’ve generated about $600,000 in sales at this point off of that. We have lots of examples like that. An inbound marketing agency we work with out of Australia, they are louder online who is a great client of ours, he’s had a ton of success from working with us and has been great to work with. You know, lots of people like that and lots of different industries all over the world. When you take someone’s campaign on, I mean, do you send individual InMails, they call them I’ll just call them emails, messages, whatever, to people on LinkedIn? Are you like really ghost writing or are you taking their place and are you posting things as though you’re the person or you’re doing that only from a business one to many type angle? Well, it’s kind of yes and yes to both of those. So, our clients, we will utilize their LinkedIn accounts, work with them to design the message so that it fits their voice, but also within the frame work of what we know what works within LinkedIn with our process and our systems that, you know, we’ve been refining for years now, and then we execute it in such a way that it feels one on one and it’s manually done one to one and all personalized, but is scalable in the sense that we can use the same messaging for lots of different prospects on their behalf. Does that make sense? I guess so, but I mean, it seems like the messaging would have to be unique for it to feel personal and relevant. What type of messaging are you talking about? Individual messages? Yeah, individual messages from a client of ours to one of their prospects and it does feel unique to them, but they don’t know behind the scenes there’s a lot of other people getting a very similar message. It’s all personalized and the content is customized so that it is going to fit and be relevant to a type of prospect that we are connecting our clients with. Do you have a mail merging program that does that or are you doing that all manually? No, that’s done all manually. Alright, good. Well, what would you like people to know, maybe something I didn’t ask you about LinkedIn marketing. Some of the principles, some of the key strategies? We’ve talked about some more advanced type strategies and jumped ahead, but maybe for folks that are just trying to get started and they’re wondering, you know, what should I be doing first? It might be helpful for them to get some of those basics. So, aside from just having your profile setup, you know, what I find most people struggle with is they don’t, they just don’t have a clear plan. Where it starts with having a clear plan is understanding, you know, who it is that they’re trying to reach, so we call that creating a clear prospect profile, right, then once you have that profile that can guide your decisions on what groups to join within LinkedIn that can guide your decisions on what kinds of content you want to be sharing out into those groups and with your prospects, right, so it all flows from who are the people you’re trying to reach and then what are the kinds of things they’re going to care about, where are the places they’re hanging out, and you can build a pretty good campaign around those things. One of the biggest mistakes I see people make even after having really soaked all that in though is that they’ll then go out talking about themselves all the time. So, they’ll join the groups where their prospects are hanging out and then they’ll start sharing content into the group that’s just their blog posts and stuff about their industry and what they do thinking that they need to position themselves as the experts in their subject manner, right. Like, an IT consultant might just be constantly talking about IT stuff, because they think they need to be seen as the expert in that space, right, which is understandable, but it can turn people off if you’re not balanced, because most of the time our prospects don’t care about what we do so much that they want to see something about it every single day, you know, and so by being balanced and, you know, only talk about yourself 10-15% of the time and the rest of the time just be sharing other people’s content and stuff that you know your prospects are really going to be into, then people will stay tuned into your stuff for a much longer period of time. Yeah, well, I think that definitely makes sense and that’s harkens back to the idea of personal branding and how I said in my first book, which was about personal branding back in 1999, I can’t believe how long ago that was! People don’t have relationships with companies, logos, mission statements, they have a relationship with people that’s why you have to be balanced and human and so forth. Absolutely and to that same point, I get the question a lot, should I be doing all of this LinkedIn stuff for my person profile or my company page? The fact is on LinkedIn just as with everything else like you said, people do business with people and there is just far more you can do for a marketing standpoint on LinkedIn utilizing your personal profile than with a company page, so with the fast majority of people, it’s that personal profile and it’s those one on one touches that are really going to make the difference. Yeah, okay, good stuff. What other mistakes or great success strategies can you share? You know, one more mistake and I kind of alluded to this, I see time and time again people join groups that are all about what they do, their subject matter, expertise, a CPA for example, an account, will go join a bunch of accounting and financing groups, that’s fine if your sole purpose is just staying in the know about your industry, but if you’re trying to use LinkedIn for the business development and for marketing and getting your name in front of prospects, none of your prospects are in those accounting groups. The only people in those groups are your competitors. So, I recommend get out of most of those, stay in a couple if you want and get in the groups where your prospects are hanging out. So, that’s one mistake that make all the time and the second thing you said some other strategies that are working, right? Sure, so one that we love that’s a stock part of our playbook is creating a LinkedIn group that you are the owner and manager of that is catered towards your prospects interests and by doing that, what you can do is really position yourself as a leader in the eyes of your prospects and then when you can achieve that positioning, you are seen as more of a peer in the industry and not just another sales person trying to hump their leg all the time, you know what I mean? So, one of the ways we do that is by creating groups that are all about our client’s prospects. So, the software development company that I mentioned, we created a LinkedIn group for them called Midwest Manufacturing Leaders and it’s all content and decision that is totally centered on things that Senior level, C level leaders within manufacturing companies would care about and because our client is running that group and is the figure head of that campaign then when they reach out to prospects that we cherry pick out of that campaign, people are really open to it because our client is seen more as a peer in the industry than just another vendor. So, that’s a really powerful strategy. It certainly takes a commitment to the long term to execute that. Those things just grow by themselves, they don’t just pop up over night, but when done right they can be super effective. Definitely makes a lot of sense. What do you see as the future of LinkedIn or any social media in general or marketing. I mean, I know you do webinars too. I would love to just get a moment or two in to ask you some of the webinar strategies that you recommend, but you know, take us to the future, certainly we’re all thinking about this like, what’s next? Is Facebook going to be virtual reality? I think they bought a company that does something like that, so it’s pretty interesting. Yeah, you know, I’m not too much of a futurist or pontificator on what’s going to happen down the road, especially with Facebook; who knows. They are certainly buying everything. LinkedIn has been buying a lot of stuff too. It’s going to be interesting, but I think as far as LinkedIn is concerned, I’ve thought from time to time in the past, hey, this could be the next MySpace thing, is this going to be around five years from now? They have grown to a point where they are so prevalent, similar to Facebook, that no one is going to switch at this point. It would be almost impossible for another thing to come along that would replace what they do now. Will the system change? Yeah, of course it will. Everything is always changing, but they’re so entrenched that it’s going to be around for a long time. They are still only at a percentage of the market share that they plan on grabbing. I saw one of their SEC filings, because they’re a public company, recently and now they have over 330 million members. I think their long term goal is to have four billion, something crazy like that. Now, that’s not going to happen next year, but they’re talking like 15 years down the road or something and that’s pretty interesting to think about when you think about whatever that ends up being. A half or a third of the world’s population or whatever using LinkedIn. Yeah, it’s pretty amazing for sure. I mean, if any of us could seen this back in, say, 1995 or something, I think we would have all been amazed, but you know, look what happened to MySpace. I mean, they are nothing, right? Yeah, you never know, you never know. You really don’t, but it seems awfully hard to slodge companies like LinkedIn, Facebook, and Twitter with so much momentum behind them, you know? Can you share a couple of quick webinar tips before you go, Josh? Yeah, absolutely man. So, you know, let me think about it for a second, things that are working for us best right now. Start with the platform, do you recommend automated webinars or just live webinars and what platforms and so forth? Yeah, both. So, I’ll share this with you, typically our playbook is let’s do the live websinar, you know, and make sure that it is good to go, that it can converts well and that it’s all polished up and pretty and then once we’ve got that recording in place, then we will then role that into an automated system and then just keep that thing running in the background. I’ll tell you what, the automated webinars have changed our business and really the reason why is because we kind of stumbled upon this, some success in niching down. So, instead of just having a webinar about LinkedIn strategies that is for any business, which we have some of those of course, we realized that creating specific webinars targeted different industries verticals, niches, etc all running in the background at the same time could be super, super effective. I ran the numbers recently, it’s allowed us to grow our sales from webinars by about 400%, right, so what does that really mean? Well, instead of like I said, just having one generic LinkedIn webinar that’s trying to cater to everybody, we now have a webinar for financial advisers, we have one for insurance agents, we have one for businesses in the Untied Kingdom, we have one for sales professionals, we have one for businesses in Australia, we have one for IT and telcom and a bunch more and so because it just speaks to people, like if you seen an ad; if you’re a financial adviser and you see an ad for just another LinkedIn webinar, you’re going to think, “Is this really going to be applicable to me?” But, when you see an ad for LinkedIn training for financial advisers, you’re going to be all over that, you know? So, I mean, that’s something I recommend to people all the time is, you know, really the further down you can niche the more success you’ll have with webinars because that message can just be laser focused to your audience. What about platforms? Webinar platforms, the actual software that you use? Do you have your own for example or do you recommend, you know, third party products? Yep, absolutely. We use GoToWebinar for live webinars and I know a lot of people that are having good success with WebinarJam as well and for automated webinars StealthSeminar is what we use for that. I thought WebinarJam did automated webinars too? You can run…so, I personally do not use WebinarJam as of right now. Some people call me a fool because of that, but you know, we like GoToWebinar. Our audience is really comfortable with it and when we’ve tried to do Google Hang Out style webinars in the past. They’ve been a disaster for us, so we’ve just stayed away from it for the time being. I’m glad you’ve said that. What went wrong on the Google Hang Outs? Why was that a diaster? Well, there’s been problems with people just being able to access the content the right way where we’ve got the presenters speaker and we’ve got the slide deck going and people can’t hear the audio, they have trouble getting the slides to show up right for them. Complaints from lots of people that we never have when we do them on GoToWebinar. So, I’ve just tried to stay away from them and the only time we do them is when we’re working with joint venture partners, you know, we promote somebody else’s webinar, we do that kind of stuff every once in a while and some of the folks that we do webinar with on that side have said, “I like to do them on Google Hang Outs.” We’re like, :Okay, cool.” And then it is always a mess in some way or another. Interesting. Good stuff. Well, Josh, give out your website, tell people where they can find out more. If you want to give it a Twitter handle too, please do that. Yeah, sure, I don’t do much on Twitter, but you can check out LinkedSelling.com to learn more about us. If you want to sign up for one of our webinars you can go to LinkedWebinar.com or look me on LinkedIn and send me a connection request there. Good stuff. Josh Turner thank you so much for joining us. Yeah, thank you man, I really appreciate it. Good times.